In October Professor Roger Simon spoke at the annual meeting of the Pennsylvania Historical Association on his new book, Philadelphia: A Brief History. 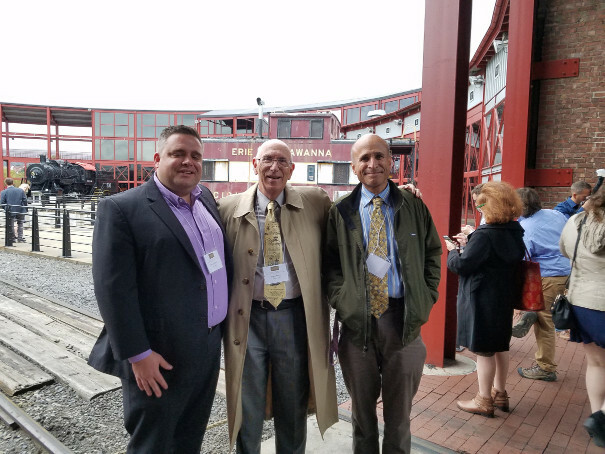 The meeting was held In Scranton at the historic Radisson Lackawanna Station hotel and at Steamtown, the National Park Service railroad museum. Silas Chamberlin (Ph.D. ’14) was chairman of the program committee. Other graduates in attendance were Jim Higgins (PhD, ’09) and Brian Alnutt (PhD, ’03), both students of Professor Simon.